Our company offers comprehensive move-in, move-out end of tenancy cleaning services in Bristol, to help you maintain high service standards, whether you are a landlord or tenant. We provide move-in cleaning services that help you as a landlord to make your property rent-ready. Our move-out cleaning services ensure that as a tenant on a short term or long term contract you are free to focus on moving into another new home, while receiving your initial deposit on your existing home from your landlord. We also offer regular cleaning contracts to keep rental homes clean and properly maintained, ensuring that both landlord and tenants are stress-free. Our local cleaners undergo extensive training, and use non-toxic cleaning equipment and materials, to maintain an impeccably clean job of your rental home or office property. 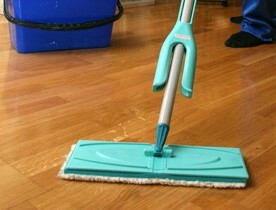 All our post tenancy cleaning services are customised and guaranteed, to ensure that you receive a top quality job. We provide fully referenced cleaners, to give you the full assurance that your property is in safe hands. Speak to our dedicated team today for a free move-in or move-out estimate. Discover a professional end of tenancy cleaning experience by calling us on 0117 345 9015.